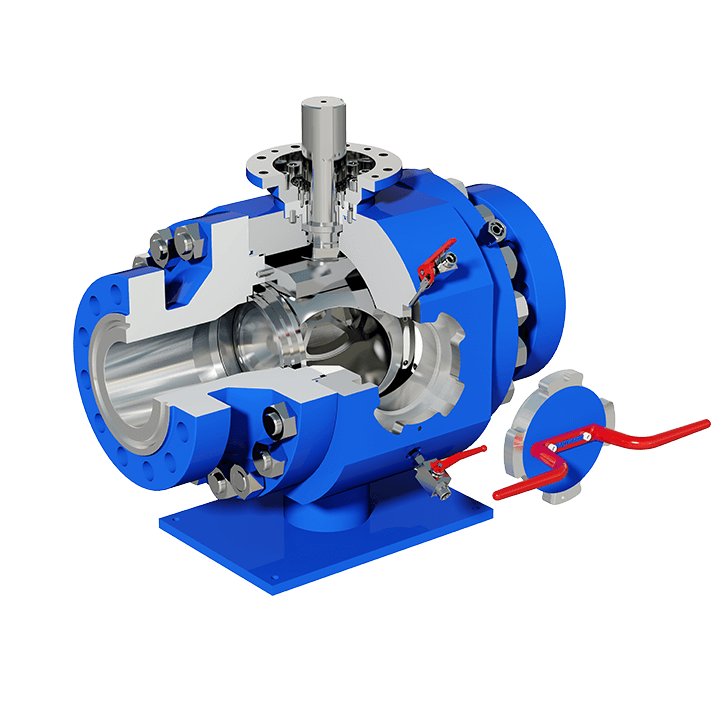 HARTMANN VALVES pigging ball valves of the HM series combine the advantages of the HARTMANN VALVES AST series, and in addition to classic applications function as shut-off valves for pigging insertion or removal valves. The simple, secure, and fast insertion and removal of pigs takes place through an interlock that is integrated on the side of the pigging ball valve and that is locked and secured through a bayonet system. HARTMANN VALVES pigging ball valve can be obtained as a scraper valve for cleaning operations (type HMR), as a scraper valve for cleaning operations, but in addition with a bypass in the closed position for applications during which the medium flow is not to be interrupted completely (type HMB)), and as a scraper valve for separating different products in a pipe line (type HMS). In the standard version HARTMANN VALVES pigging ball valves are designed for a maximum pig length of 1.4 x nominal diameter of the pipe line. Upon request, we are pleased to offer you special constructions for spherical pigs or cylindrical pigs longer than 1.1 to 1.4 x diameter up to a maximum of 2.0 x diameter. The simple handling of the HARTMANN VALVES pigging ball valves speaks for itself: For the insertion or removal of the pig the ball is rotated by 90°, meaning it is rotated into the closed position. Prior to the opening of the interlock the housing interior is depressurized via a release valve, then the bayonet catch is unlocked and opened with a left turn. The pig can now be inserted or removed through the interlock. 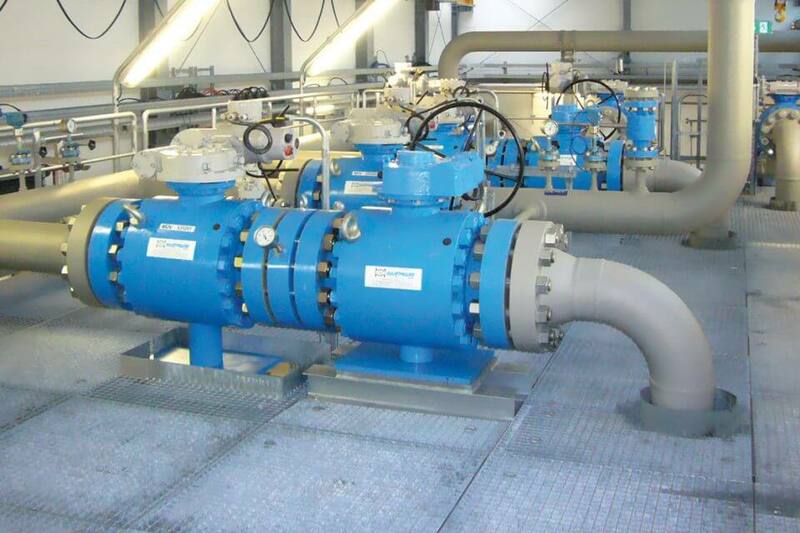 The advantages of the HARTMANN VALVES ball valves are primarily: Simpler operation, secure handing, reduced footprint, lower investment costs in comparison to traditional pigging interlocks.